Apple has expressed interest in buying advanced liquid crystal display (LCD) panels from Japan Display for use in some of its iPhones next year, according to a new report today from The Wall Street Journal. Earlier this month, Apple announced the iPhone X, its first smartphone to adopt OLED screen technology. OLED displays offer sharper contrast and brighter colors than traditional LCD panels, but cost and supply issues are an ongoing concern for Apple, and are likely to slow down any full transition to the technology. 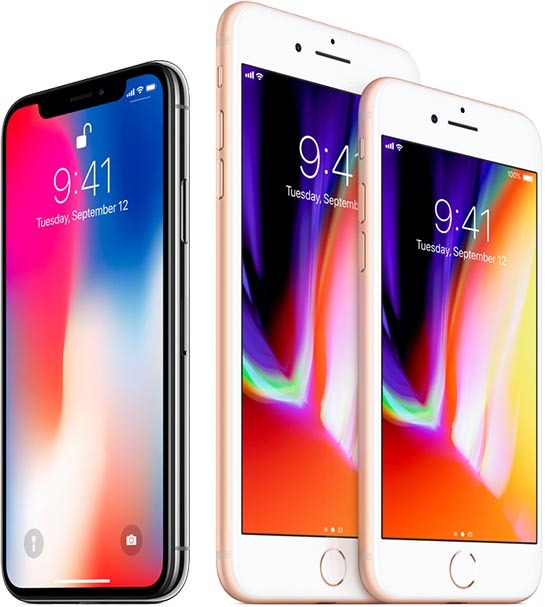 However, Japan Display's advanced LCD panels, which it calls Full Active LCDs, are said to match or exceed some of OLED's advantages at a lower cost, and Apple is interested in procuring them for use in at least some iPhones set to debut in its 2018 smartphone line-up, according to people familiar with the matter. In Full Active panels, the bezel or border space around each edge of the screen has been trimmed to 0.5 millimeters, the Japanese maker says, compared with as much as several millimeters on older LCDs. Current OLED smartphone panels have a bezel of about one millimeter, which makes them easier to be curved or angled. The Full Active panel has already been used by several Chinese mobile makers, including Xiaomi for its Mi Mix 2 phone, according to Kazutaka Nagaoka, chief of Japan Display's mobile unit. News about Japan Display's advanced LCD panels first emerged in January of this year, when they were referred to simply as "flexible LCDs". The panels were said to be bendable enough to manufacture smartphones with the same screen design as Samsung's Galaxy Edge series, thanks to a layer of plastic inside the glass. At the time, the company claimed mass production would begin from 2018. Last month, Japan Display said that its Full Active displays would account for more than 70 percent of its business in panels for smartphones and other smart devices in the year ending March 2019. People at companies that work with Japan Display said interest about Full Active LCDs came directly from Apple, which is why the display maker is predicting rapid uptake for Full Active. Apple declined to comment on the report. Apple's line-up of iPhones next year will introduce a larger-screened LCD model, measuring more than 6 inches, according to a rumor earlier this week. Based on the same part maker sources, Apple's supply of LCD screen from Japan Display already includes panel orders for the new larger screen size. Meanwhile, a switch to OLED-only iPhones is not expected until 2019. Apple has expressed interest in buying advanced liquid crystal display (LCD) panels from Japan Display for use in some of its iPhones next year, according to a new report today from The Wall Street Journal ('https://www.wsj.com/articles/apple-is-interested-in-japan-displays-lcds-for-some-iphones-next-year-1506573887?mod=e2tw'). iPhone X already seeming old Lol. True. I totally missed the iPhone 9. You can't even get them. Anymore. Yet. OLED has other advantages other than bezel. I would assume this is for the 8S. I like the minimal bezels, but please can we have a flat glass surface. Screen breakages are a major issue and I have seen tempered glass screen protectors work as sacrificial saviours of the phone screen. They cannot be fitted to curved screens. Touches also work better on a flat screen. Thankfully, the sentence has been corrected. It originally stated "Japanese Display's advanced..."
Next year(2018) we’ ll get an iphone 9 regular model with lcd, and perhaps an iphone x plus with oled. I don’t think either of these phones will exist. They won’t be going back to 9, it’s been officially skipped. Most likely it will be 11. The iPhone X screen (5.8) is already bigger than a + (5.5), so I don’t think they will bother. Since the iPhone X is in recognition of the iPhone anniversary, it might very well be a one-shot phone like the iPhone SE. I guess that would explain going back to LCD for the 2018 models, whatever they’re called. Never said they did. Produce referring to produce the iPhone X Plus with an OLED display, not get plastics and glass and numerous other elements and make the OLED display themselves.